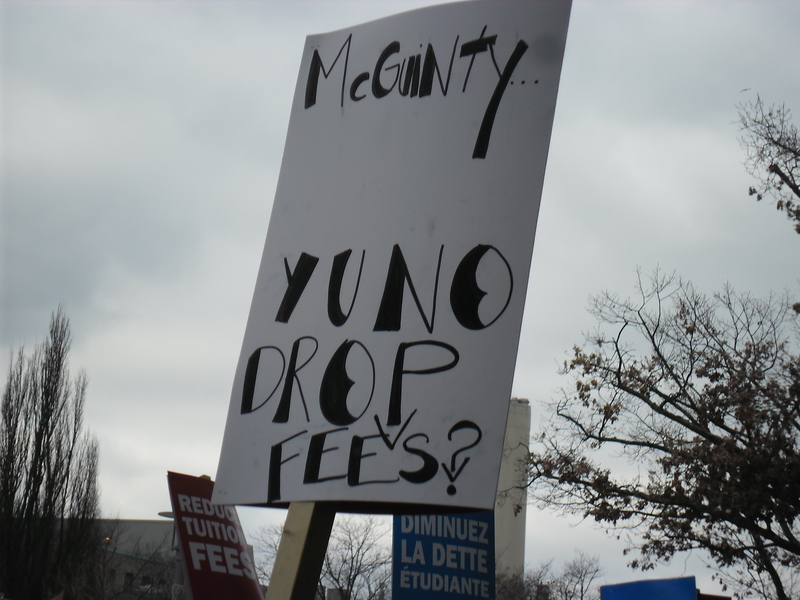 McMaster…Y U No Drop Fees? While upwards of 40,000 Quebec students are walking off campuses in Quebec to protest tuition increases, our tuition fee rally at McMaster a few weeks ago consisted of about fifty. I don’t mean to slag those organizing the event, for they do wonderful work, and I’m told that this year’s showing was an improvement on the last. But I can’t help being disappointed in the wider McMaster community – both undergraduate and graduate, not to mention the faculty – for their lacklustre support. It’s all the more disconcerting when one considers that Ontario undergraduate students pay the highest tuition in the country (and receive the lowest per capita support from the government).